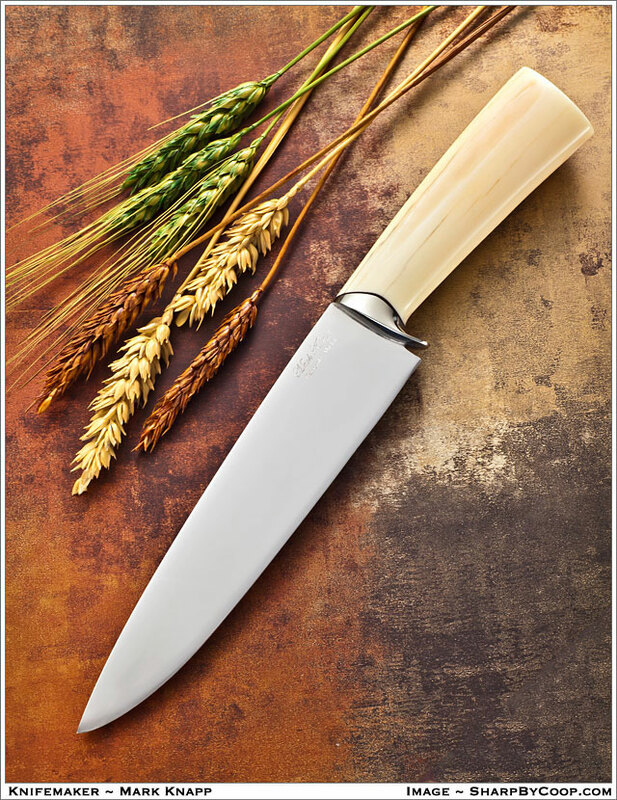 A truly custom knife is made to the customer’s personal needs and preferences. We begin with a drawing generated by both the customer and myself. The customer then decides what properties are important to him in a knife. Shape, weight, blade thickness, blade material, handle material, and balance are a few properties to consider when building the knife. How the customer will use the knife is one of the major factors that will determine the construction of the knife. 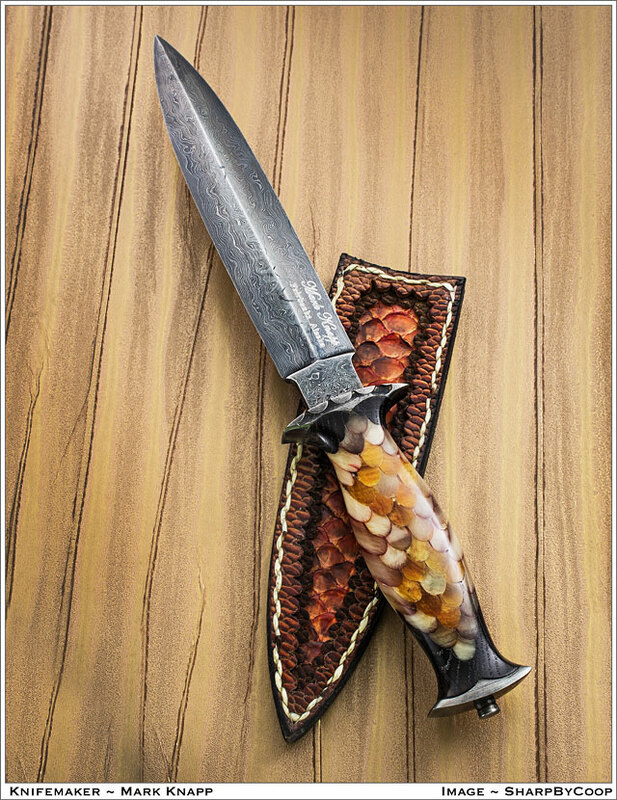 We have many grades of stainless, carbon and Damascus blade materials to choose from and hundreds of handle, guard, bolster and pin materials. Your requirements and imagination are the only limits. All knives are available with stands and/or sheaths. 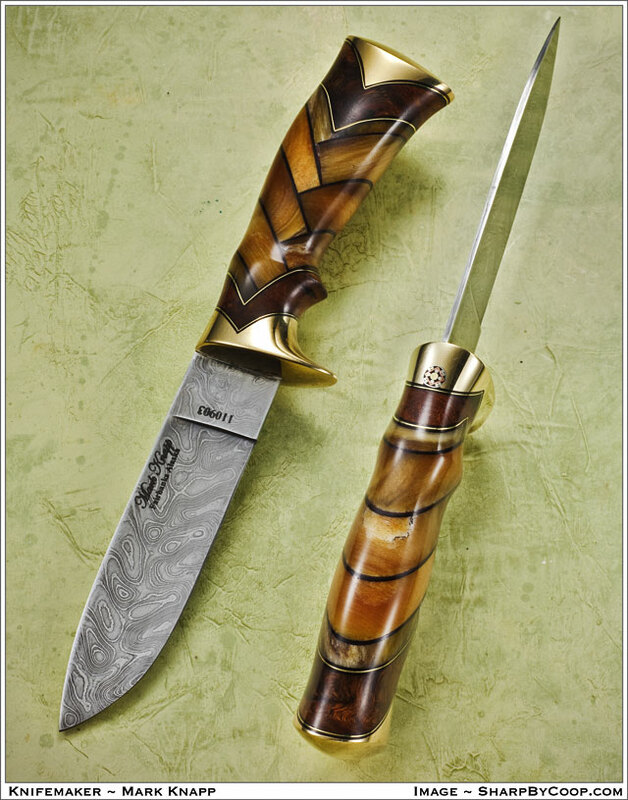 with sheep horn and damascus in a herring bone pattern. with mammoth tooth, musk ox horn, mammoth ivory, brass guard and pommel and damascus blade. 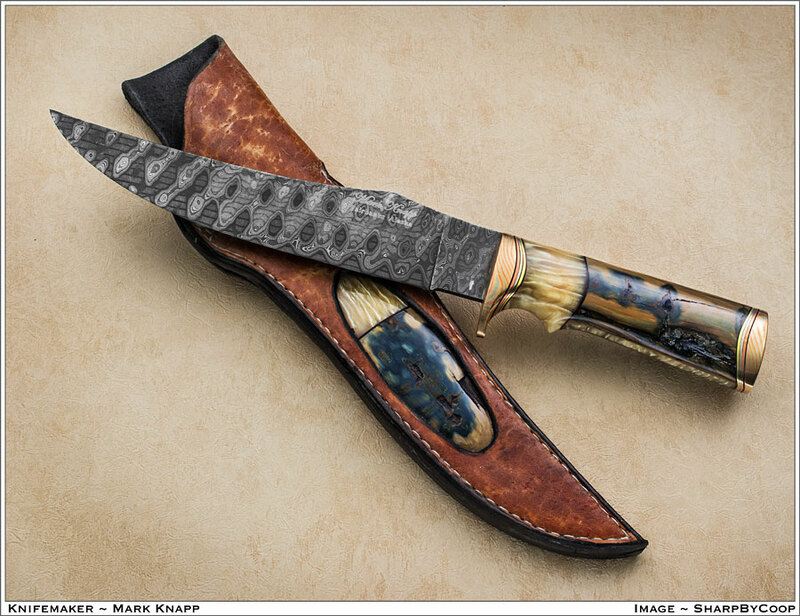 The blade is made of Mike Norris Hornet's Nest Stainless Steel Damascus. 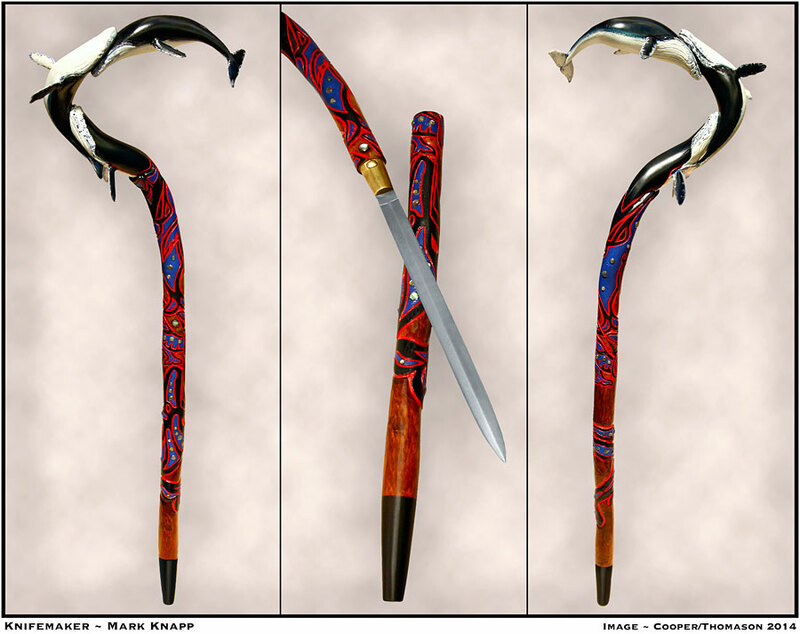 The handle is made of musk ox horn and blue mammoth ivory. 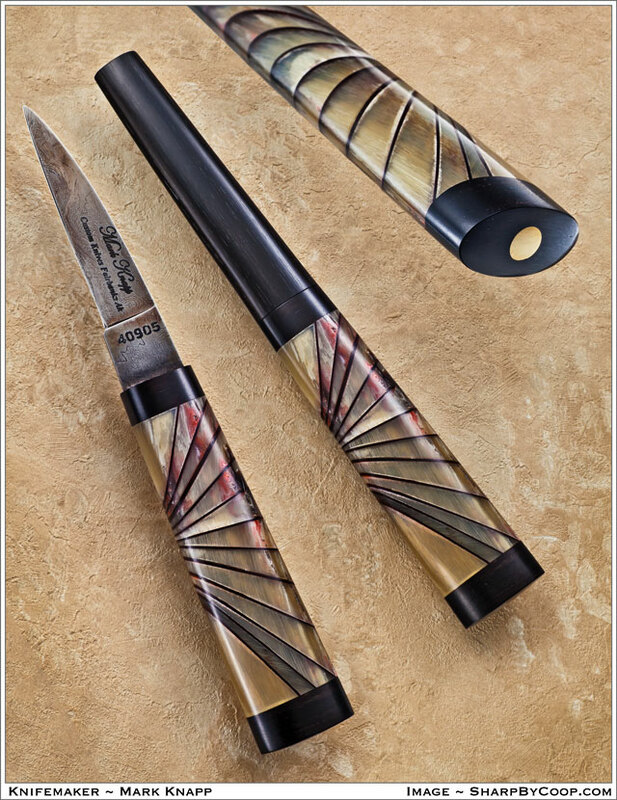 The guard and bolster are mokume. 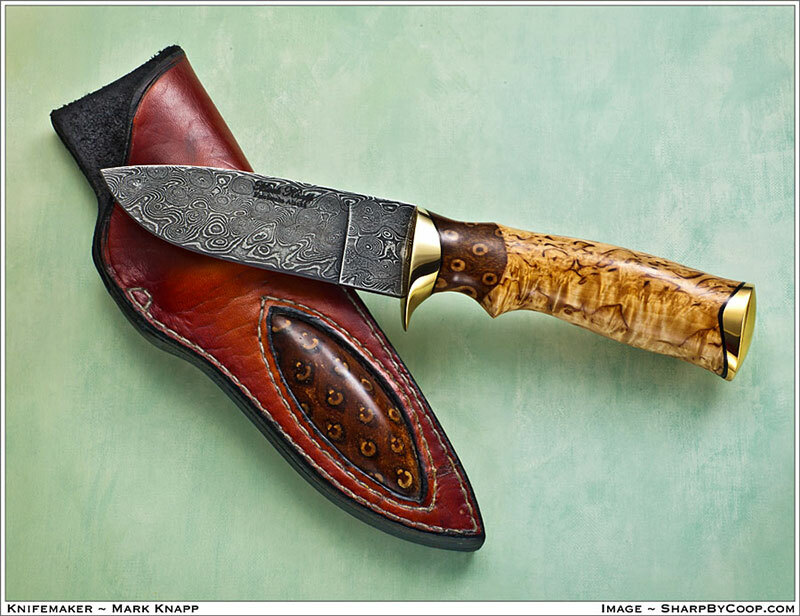 The blade is made of 1084 and 15N20 Damascus by Bill Burke. 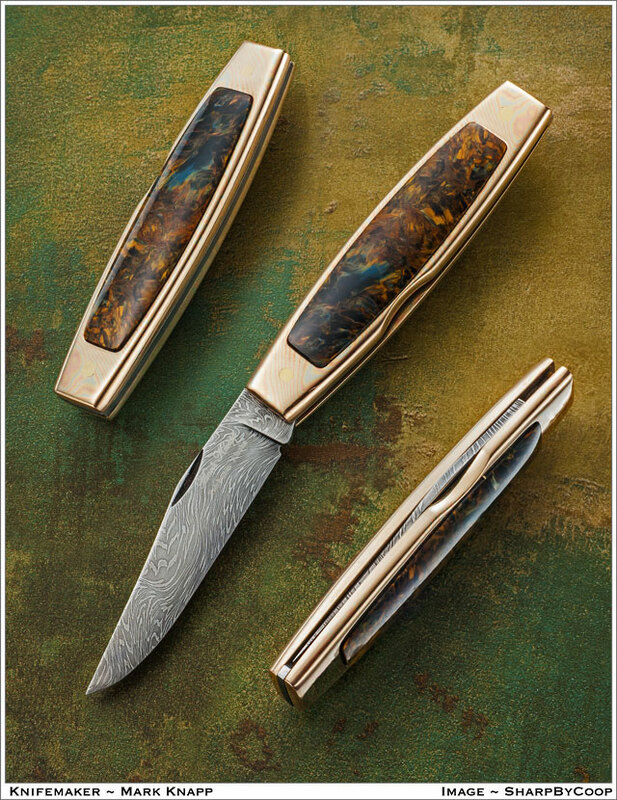 The Handle is Pietersite with a mokume gane frame. The blade is made of Octahedrite Meteorite Muonionalusta and 15N20. 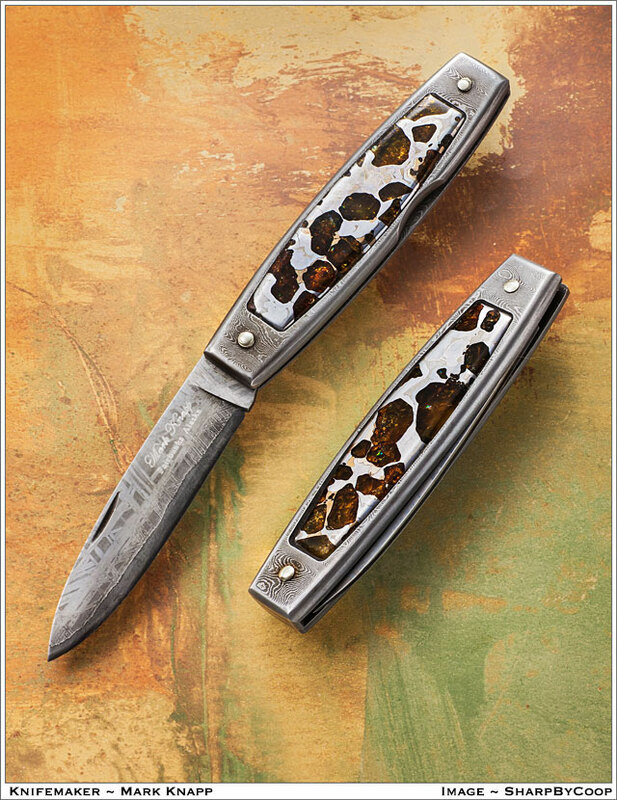 The Handle is Damascus and Pallasite Meteorite Imilac. 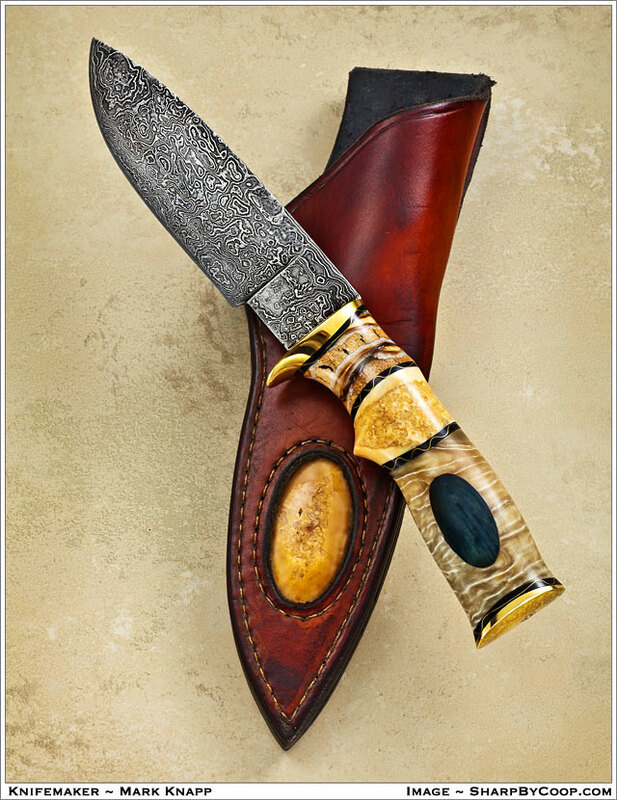 with mammoth tooth, fossil walrus ivory, musk ox horn, blue mammoth ivory inlay, brass guard and bolster and damascus blade. 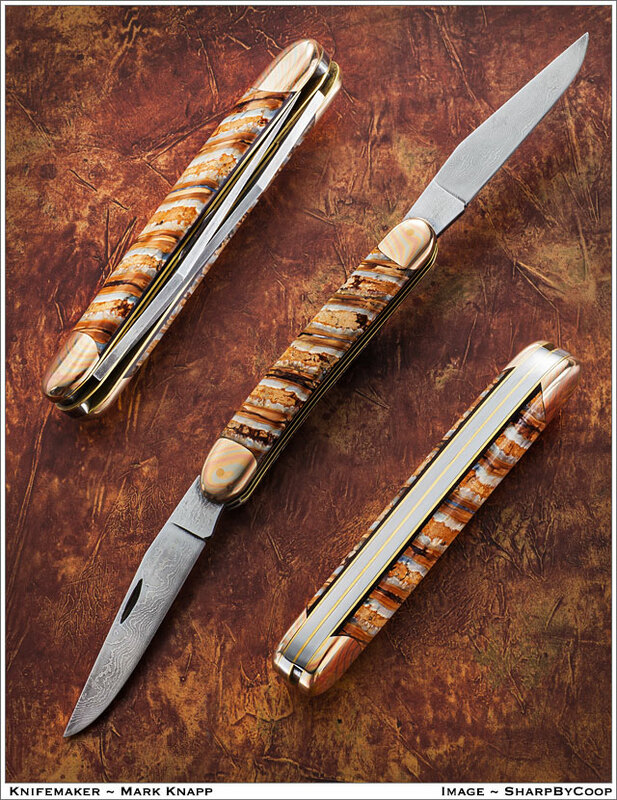 with fossil walrus ivory handle and stainless steel guard and blade. 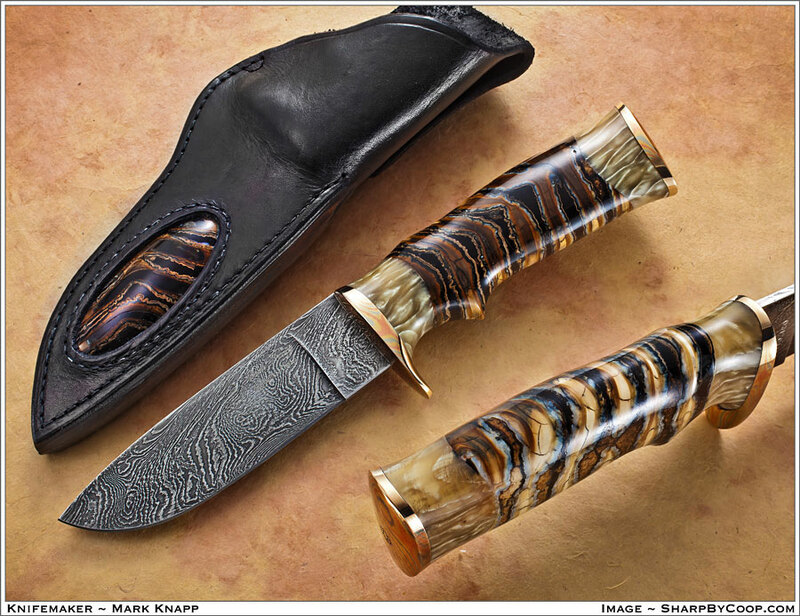 with mammoth tooth, musk ox horn, Mokume guard and pommel and damascus blade. with pine cone and massure birch. with an Asiatic goat horn handle in a sunrise pattern and ebony. 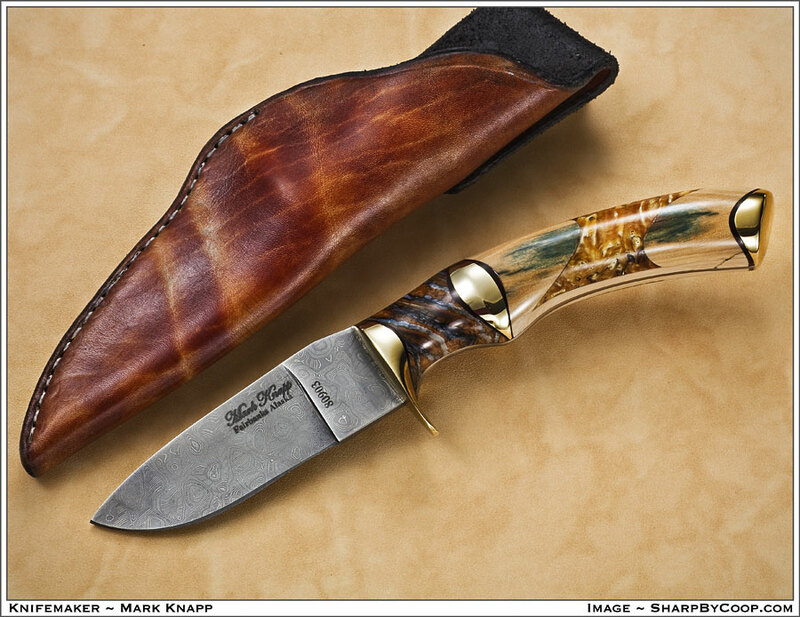 Musk rat folder with mammoth tooth. 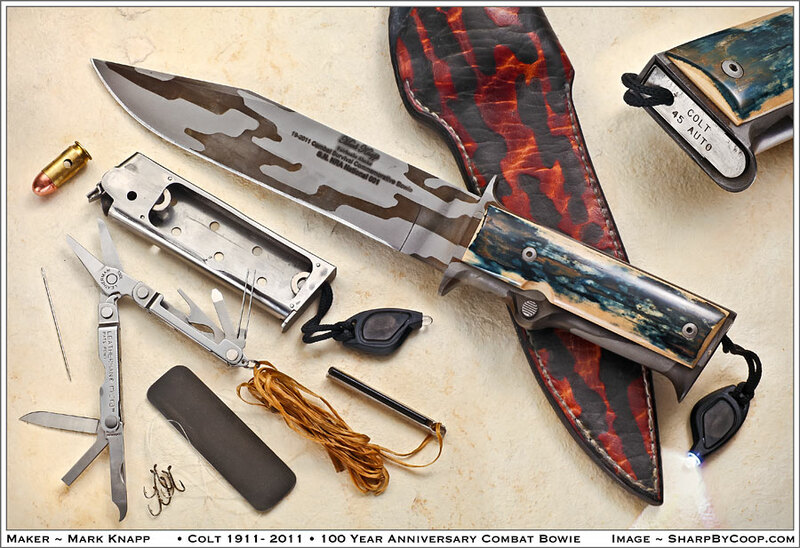 with blue mammoth ivory and camo blade. 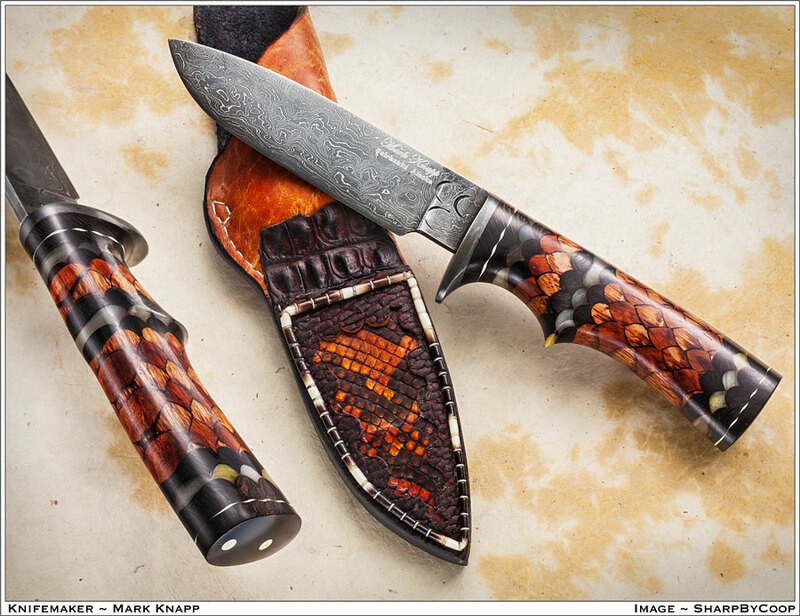 © 2006-2018 Mark Knapp Custom Knives. Site by Web Designs by LAO.